Registered in 1940, this original, scruffy, 6 light saloon had only 2 previous owners from new and the biggest history file I have ever seen. Every penny ever spent on the car had been recorded in the form of its original receipt. A service and a set of tyres had the car running and roadworthy. I travelled thousands of miles in this mechanically perfect ‘little Daimler’. The steering and roadholding were exceptional for a car of its age and type. 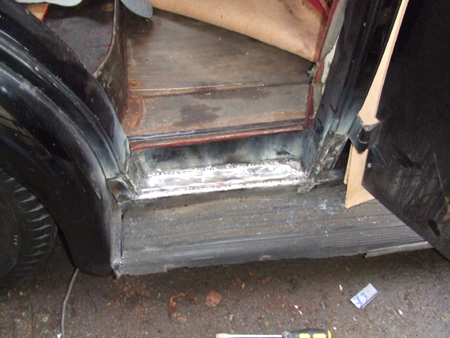 The 14/2 coachwork is constructed of steel with some wooden framing and a wooden floor, the floor is susceptible to woodworm and rot, but being flat is easily repaired. The usual areas for corrosion are, as on most cars of this type, the sills, door bottoms, running boards and trailing sections of the wings. The chassis are very robust and unless very badly neglected unlikely to suffer from corrosion. 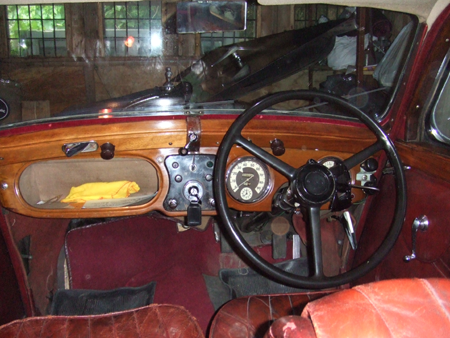 The unrestored woodwork was in good order and fitted with a typical Daimler switch panel. The opening windscreen provided more than adequate ventilation on a hot day. Unfortunately the sunroof had been sealed to prevent water leaks. When new, the steering wheel boss would have had a horn push and indicator switch fitted, the mechanism was missing, replacement switches can be seen on the right hand side of the dashboard. 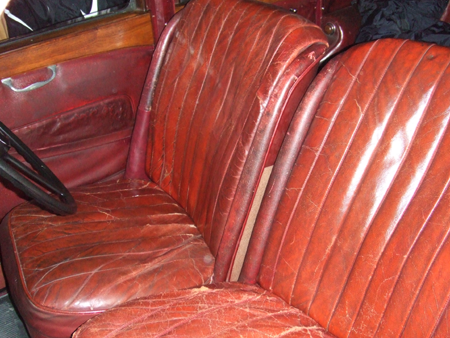 The comfortable interior was well worn but not worn out! The carpets and headlining were of the usual high quality, the seating was leather faced, with leathercloth on the non wearing surfaces and was extremely comfortable, the driving position was also excellent, with all switches and levers falling readily to hand. The six cylinder ohv engine with detachable cylinder head, is beautifully smooth and delivers its power unobtrusively, the 14/2 has a single SU carburettor, Daimler’s pre-selector, self changing gearbox and fluid flywheel transmission (a manual was offered as an option), final drive is by hypoy bevel, as a result the Lanchester has a prop’ shaft tunnel (Daimlers & Lanchesters of this era normally have a flat floor, a useful feature of the underslung worm drive favoured by Daimler). The six light four door saloon is smaller than most Daimler motor cars but has more than adequate room for 4 adults, the fold down boot allows for extra luggage to be strapped down. ‘Fast back’ styling and twin rear windows were very fashionable in the late 30’s and give this lovely family saloon a distinctive look. 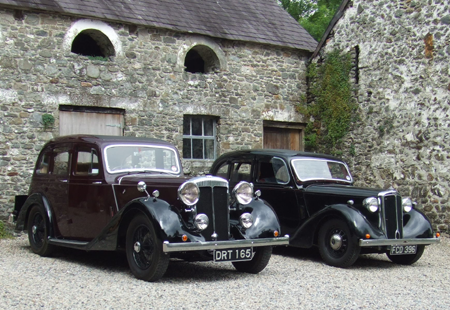 The Lanchester 14/2, easily kept pace with the larger 20 hp Daimler (E20), shown here near Dinefwr Castle in Carmarthenshire during the Daimler & Lanchester Owners’ Club International Rally. 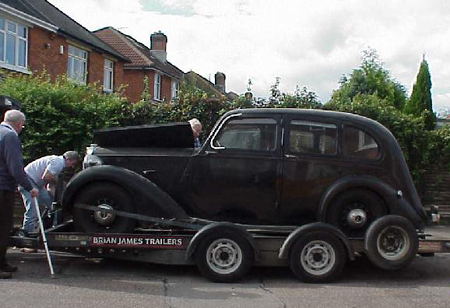 The reason for this is that the Roadrider De Luxe was fitted with independent front suspension, combined with the car’s light weight, it makes the earlier, heavy cars seem very old fashioned. 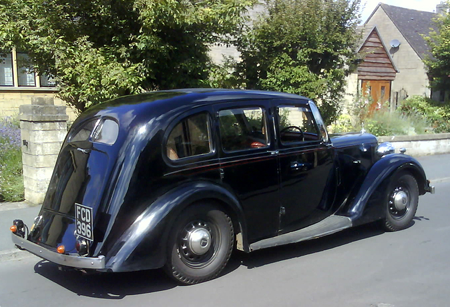 I thoroughly enjoyed owning this motor car and am keen to find a nice original, 4 light sports saloon on the same chassis, probably the best all round pre war car that I have owned, economical, fun to drive and very easy to maintain and repair. The term Roadrider De Luxe (often referred to as Lanchester 14/2) is in fact the car’s title and not a trim specification, It was so named to differentiate it from the earlier LA14 Roadrider, which did not have independent front suspension nor a detachable cylinder head. I would like to buy a nice example of the early Lanchester 14 Roadrider or the 14-2 sports saloon or coupe, if you have one please contact me by submitting the form below.